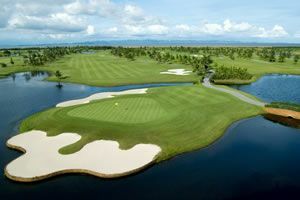 Bangkok, Thailand 26 November 2015 — Golfasian Co. Ltd., South-East Asia’s leading inbound golf tour operator, has reported a 14 percent boost in customers for the 12-months ending October 31 and a 24.5 percent increase in forward bookings for the year ahead. The increase has been fueled by innovative marketing strategies, including private tailor-made familiarization trips for overseas golf tour operators, road shows on behalf of national tourist boards, establishment of marketing consortiums with golf courses and hotels, and self-development of the industry’s leading customer relationship management and golf tour creation software. Specialized training programs for in-house staff, drivers, and guides. Underscoring Golfasian’s success, golf holiday travel to SE Asia is outperforming growth in global tourism and pioneering large-scale amateur golf tournaments has been a significant “first” in Asia. In conjunction with Australia’s Go Golfing, the Centara World Masters – held in Hua Hin, Thailand – attracted more than 600 participants in 2015 in only its second year in June. This was followed by the first edition of the Accor Hotels Vietnam World Masters in September. Both tournaments will be staged again in 2016, while additional events will soon be announced elsewhere. 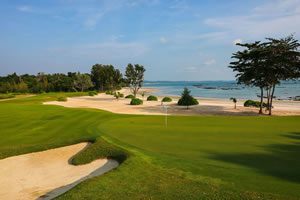 Golfasian now books trips to Thailand, Vietnam, Indonesia and Singapore and to undiscovered golf destinations including Cambodia, Myanmar and Laos. For example, the company’s packaged tour combining golf and sightseeing in Siem Reap (Cambodia), Ha Long Bay (Vietnam) and Luang Prabang (Laos) – each with a UNESCO World Heritage site – makes Golfasian a one-stop shop for golf travelers and world leader in offering such diversity. Siegel, who bought Golfasian as a fledgling Thai golf tour operator in 2005, says the groundwork has been laid for the Bangkok-based company’s next growth phase. The company now has more than 75 staff, with on-ground operations in Hua Hin, Pattaya, Phuket, Bangkok, and Chiang Mai (Thailand), Ho Chi Minh City, Danang, and Hanoi (Vietnam), Siem Reap (Cambodia), Kuala Lumpur (Malaysia) and Bali (Indonesia). Golfasian was named best golf tour operator in Thailand at the World Golf Awards in Portugal in October. A year earlier it was named best in Asia. “This in-house service approach ensures every golfer’s expectations are met or exceeded in every aspect of their trips with us,” he reports. To further its growth Golfasian will establish representative offices in China, South Asia, and Europe as well as offering open technology for established overseas partners’ use. Orczech says this will reinforce Golfasian’s positioning as a full service provider of competitively priced golf experiences.